Less Is More | Nourishing & organic Lindengloss Conditioner. 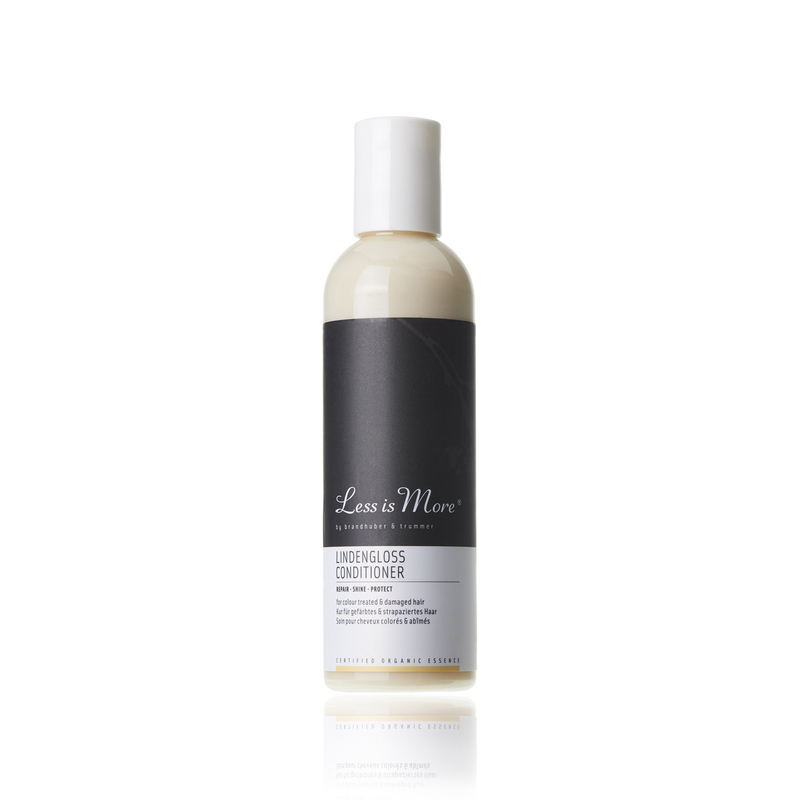 Repair and protect hair with this nourishing conditioner. Formulated especially for dry, damaged, or colour-treated hair, the combination of wheat germ, soy oils and rockrose extract locks in moisture to leave hair hydrated and healthy. Silicone-free. Massage into wet hair after shampooing, rinse out. For deep conditoning effect, massage into hair and scalp, then rinse off. Colour treated and damaged hair. An aromatic blend of linden flower, petitgrain key lime, vanilla, and atlas cedar with mood brightening, balancing, and de-stressing properties. Pure organic essential oils.